On my way to school, I usually biked through verdant, sun-drenched woods upon little hills. Hearing trees singing in the wind, I had my head in the clouds; imagined my twenty-something self as a young forest: fresh and full of sap. I had started developing a hunger to see Europe since I was in my early teens. Setting foot on Finland, I saw snow for the first time; touched it with my bare hands. Being overwhelmed by the breathtaking in-white scenery covering ancient and romantic places I kept dreaming about, I was about to burst into a million tiny bubbles of joy. Of all my fondest memories, I owe heartfelt thanks to my dear host family, especially my "äiti" who has always made me feel at home. "Äiti" in Finnish means mama. The Finnish, in short, is candid, yet gracious inside. My "äiti" is an ordinary Finnish woman, a grace-energized widow and a loving mother. Despite the most hardship she has encountered, she still rises forward with courage and hope. She is my greatest source of inspiration. We frequently shared heaps of fun talking about life, love and relationship while immersing ourselves in the spirit of Finnish saunas. (1) Cockaigne, originally a French word, is an imaginary land of luxury, mythic and idleness. (2) Meaning "Kokko (a surname), gather up the whole bonfire! - The entire bonfire? - The entire bonfire. Now will you gather it up?" (3) Finns commonly say "Kiitos" (which means "Thank you" in English) to the driver before leaving the bus. 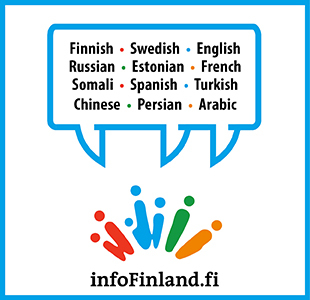 (5) In French, "Finlande" literally means "End-land" ("Fin" means "end").